No secret, I love timeless fashion. 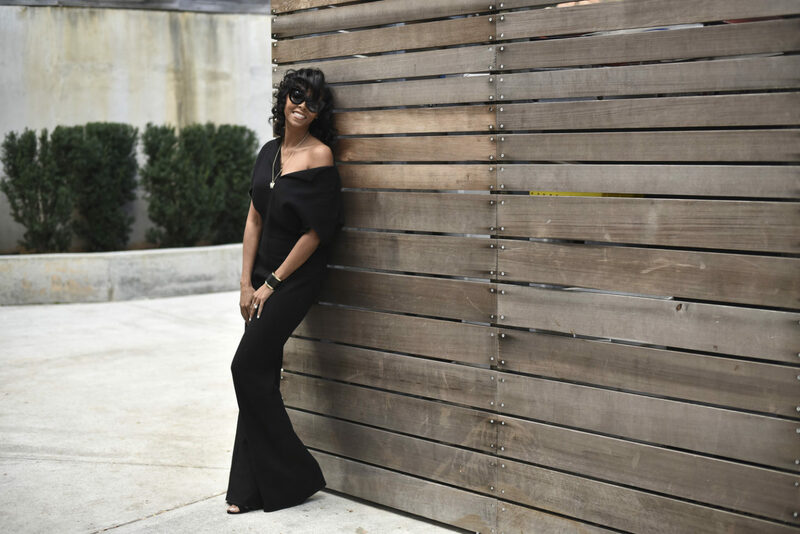 My personal style boasts clean lines, one-pieces and oodles of black. When I’m rocking my favorite all-time go-to color, I’m always left feeling stylish, sleek and powerful. Giving me confidence from how flattering the color works with my figure and personal style, to the depth it gives the simplicity of cotton. Oh, and let’s never forget, how luxurious it accentuates textured fabrics or the richness it lends to silk. With accolades like these, no wonder the color black and its ‘lil’ dresses (LBD) remain one of America’s biggest fashion styles of all time- so trust- its a legacy, not a trend. 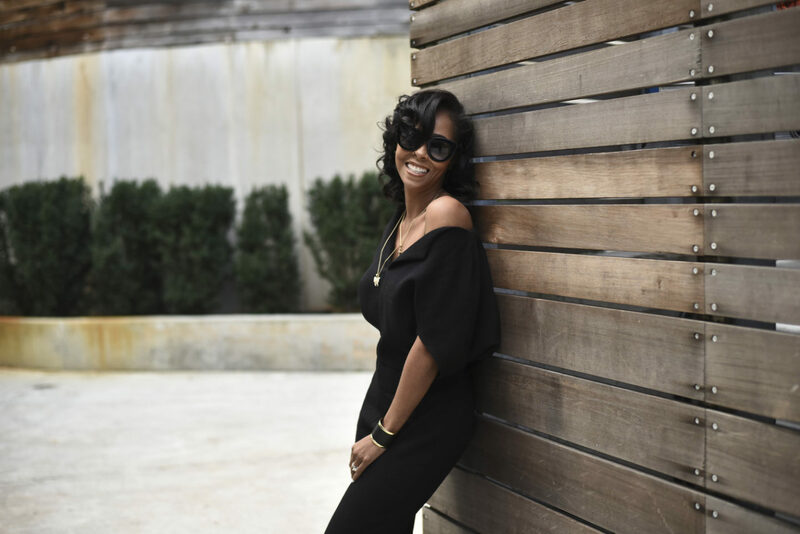 While I’ve always been and will continue to be a super-fan of fashion-forward LBD’s, switching gears on my consistent daytime to playtime favorite personal style look, I’ve been swapping out my LBD with a fly a$s little black romper made by Chicago’s own, Barbara Bates- and, the LOVE is real. I love the way it flows, how it elongates my body and the risqué appeal of a deep v cut neckline with an off the shoulders bodice. I wear her to both work and social affairs separately, but the little black romper is ideal for a busy workday, that transitions into a fashion-forward night out. Today my little black romper (click for similar look)was the perfect date, tagging along as I spent my morning returning emails, booking holiday travel and planning for my upcoming trip to Boston to facilitate the Build a Brand to Last: Strategies to Make Your Mark and Advance at the Massachusetts Conference for Women this week. Later, I headed to a great lunch with one of my favorite creatives at a cute little bistro to brainstorm ideas for the blog for 2018. For today’s look (my ootd), I styled the romper with a classic fashion pairing of black on black with a touch of gold accessories. With the sun showing up and out, I rocked it with a pair of black suede Topshop strappy heel I grabbed a Nordstrom early in the season, my black thick-rimmed subtle cat-eye sunnies, a black leather cuff bracelet with gold trim, and a little good luck, my gold charms- a cross and butterfly- both significant, encrusted with diamonds and full of magic! I love the idea of wearing a jumpsuit instead of an LBD and you look absolutely beautiful in yours! Yes, me too. Thanks, Allegra! Jumpsuits are a great alternative to a LBD. A super great look! Love those glasses, they are super cool!